Early in December 1995, Dave Kulju posted an ad to "The National Midnight Star" - the Rush on-line digest/mailing list, looking for other musicians that were interested in playing progressive rock. Gino Foti, who was looking to form his own band to play music outside of the mainstream, e-mailed the only reply. Meeting in person, it was apparent that both shared numerous influences, as well as a penchant for exploring unorthodox musical themes and odd-time rhythms. Dave emerged as a prolific composer, and thanks to his remarkable drum machine arrangements, they were able to rehearse for most of 1996 while a consensus was reached on the band's format. Gino came up with the band name from its secondary meaning: an alloy of two or more elements that occur naturally - implicit in meaning the "whole is greater than the sum of its parts" sound they hoped to achieve, and the eclectic style of music they wished to produce. They agreed to compose all-instrumental original material as a power trio, and to enhance the arrangements by playing keyboards and MIDI pedals themselves, rather than dealing with overdubs, sequencers, or worse - another musician's ego. Adopting the Do-It-Yourself ethic in every aspect of the project, they hoped to eventually self-produce a CD, and after Gino received a promotion at work, he decided to invest in a home studio (instead of buying a badly needed car or finish work on his house). Their attention now turned to finding a drummer who shared their vision. While Gino was spending countless hours, both online and off, at music-related bulletin boards, Dave sent another ad to the National Midnight Star, and after mailing out demos and talking to a few drummers, hard-hitting Joe Musmanno was given the gig after their first meeting in September - without ever playing one beat! The band spent the remaining part of the year practicing around three different work schedules, holidays, and numerous drum kit configurations, but still found time to sharpen each composition, develop as a unit, and above all - have fun. As 1996 drew to a close, they agreed unanimously that it was time for them to enter the next phase. 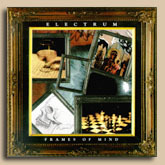 1997 ushered in the group's validation phase, culminating with their debut CD Frames of Mind. Taping began in late August with Joe causing structural damage to Gino's garage, and ended about three months later with Dave and Gino tracking keyboards simultaneously. 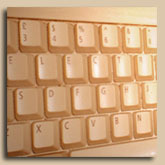 Added to the usual problems encountered in the recording process, several circumstances arose that could derive only from using a home-based studio. Curious neighborhood children, extraneous street noise, and gaggles of Canada geese attacking from land, sea, and air (like the Allied forces on D-day) kept the day sessions interesting; angry neighbors, skunks with a distaste for prog, buzzing fluorescent lights, and insects the size of pterodactyls induced chaos during the night ones. Dave, now wearing his engineer's hat, was challenged with all of these nuisances, as well as trying to capture the band's sound on only eight tracks. Released in March 1998, the album features tight ensemble playing, complex arrangements, and explorations of odd-time signatures. Over 500 copies were sold within the first year with virtually no promotion, mainstream radio airplay, or live performances. The disc received many positive reviews and world-wide distribution, thanks to the strong internet presence of progressive rock fans and dealers. 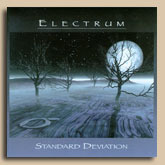 After methodically preparing for over three years, the band was now ready for their second release, Standard Deviation. Along the way, Joe purchased a new DW drum kit and mics; Dave bought a house, a custom guitar, and built a home studio; and Gino added more equipment to both his home studio and bass rig. With each member recording in their own homes this time around, all problems were now multiplied by three ... thousand! Gino encountered enough bugs to compile an ADAT tech manual while tracking and broke several passenger car land speed records on I-495 driving to Joe's house, only to find him tuning and retuning his drums. While Gino monitored Joe for signs of suicide, Dave found enough time in between thunderstorms, power outages, firework displays, PC crashes, and the next door neighbor's power tool festival to record the drum tracks. The studio was then moved to Dave's house, but information about his recording and mixing sessions is scarce due to Dave and his psychiatrist's doctor-patient confidentiality relationship. Released in February 2002 on the Net Dot Music label, the album contains seven compositions, mostly rhapsodic in form, laced with orchestral keyboard arrangements with more time signature changes and solo spots than its predecessor. Once the marketing and promotion phase of Standard Deviation was completed in 2003, the stage was set to begin working on the next release. Unfortunately, other aspects of life (mainly their full-time jobs) became a constant interference that would not allow them to rehearse with any consistency. Added to that, the band could never reach a consensus on either a stylistic direction or what musical ideas should be completed, so after several attempts stalled, they decided to wait for a better opportunity in the near future to work together. By now, it was the summer of 2004 and Gino had accumulated over 100 skeletal arrangements, and Dave had a multitude of ideas on his own with a vision of how they should be completed. The end result was a simultaneous release of four jazz/world fusion CDs by Gino: Orbis Terrarum, Sphere Of Influence, Bhavachakra, and Vedic Mantras in August 2006. 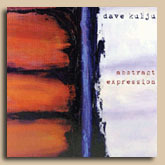 This was followed by Dave's debut instrumental prog rock solo disc, Abstract Expression, in May 2007, and his sophomore release, Notes In The Margin, in June 2010. Gino countered with two more releases: Xenosonic Journeys and Global Resonances, in March & November of 2013. Dave Kulju died suddenly in December 2013, about a month shy of his 44th birthday. Gino and Joe decided not to produce any more music as Electrum.